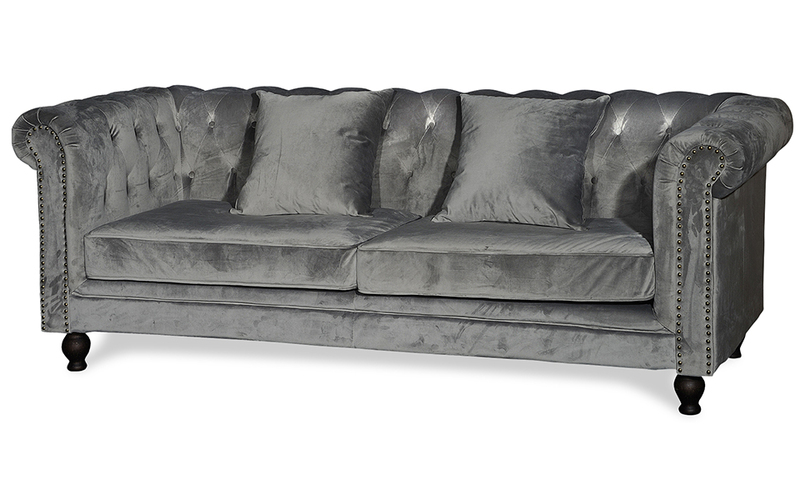 This massive 3-division couch offers sophisticated living at its best. Elegantly designed with deep buttoned seat and backrest for comfort and style. Made in a luxurious fabric and features a double studded arm.